WTOP Garden Editor Mike McGrath answers your questions about planting spring bulbs and when (and what) to prune during the cold season. 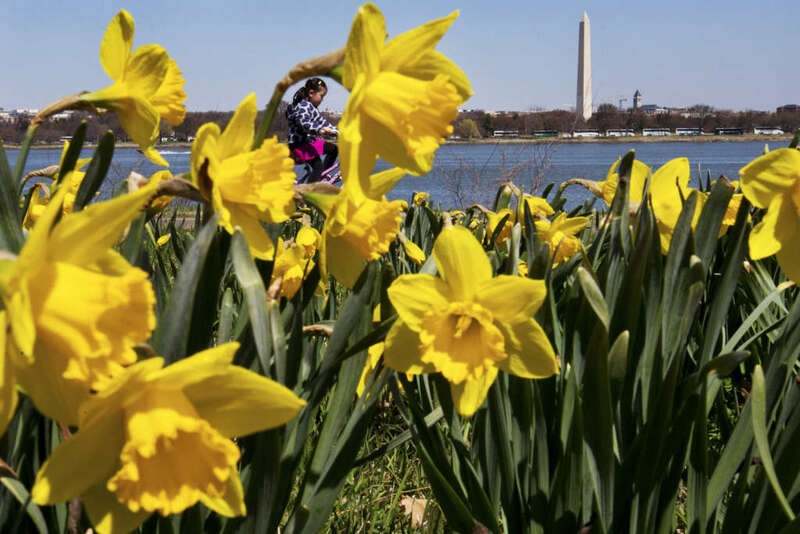 WASHINGTON — WTOP Garden Editor Mike McGrath answers your questions about planting spring bulbs and when (and what) to prune during the cold season. Winter pruning rules: Don’t cut the crape! Yes to both questions, Clemencia. Pruning before new growth begins to emerge in the spring removes biomass from the top of the plant that would otherwise provide the insulation necessary to protect the crown and root system from the worst of winter weather. My recommendation — and that of all established experts — to “prune in the winter” only applies to removing dead or diseased limbs from large trees. 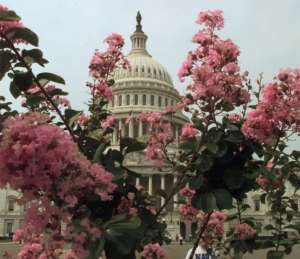 The correct time to cut back summer bloomers, such as butterfly bush and crape myrtle, is after new growth appears in the spring. Cut crape myrtle back by a few feet; ideally, just as much as the plant grew last season. Butterfly bush can get a buzz-cut; just leave the bottom 6 inches or so standing. What about the vines of wine? And berries blue? Again, the most important thing is to not prune anything now, while the plants are trying to go dormant. Pruning at this time of year is propelled 100 percent by boredom; watch the World Series instead! Now, grape vines should be pruned in very late winter or early spring, depending on the trellising system you have chosen and the aggressiveness of the vines. Contact your local extension office and follow their recommendations for your specific varieties. And be sure to thin out lots of the grape leaves and remove some of the clusters during the growing season to prevent disease. Blueberries require no pruning other than to remove dead or diseased branches in the spring and to keep the plants to a manageable size. Just be aware that more pruning equals fewer berries and to never remove more than one-third of the plant. Birds are the bane of blueberry growers; they will fight you for every tasty little fruit. And the traditional defense is to erect a cage-like framework and then drape bird netting over the frame. But netting is far from a perfect deterrent. Birds often walk in under it, and birds and butterflies often get tangled up in the netting (as do people). So, yes, placing a motion-activated sprinkler in front of the bushes at harvest time should work well to keep birds at bay — as well as other berry thieves such as Evil Squirrels and nighttime raccoon raiders. 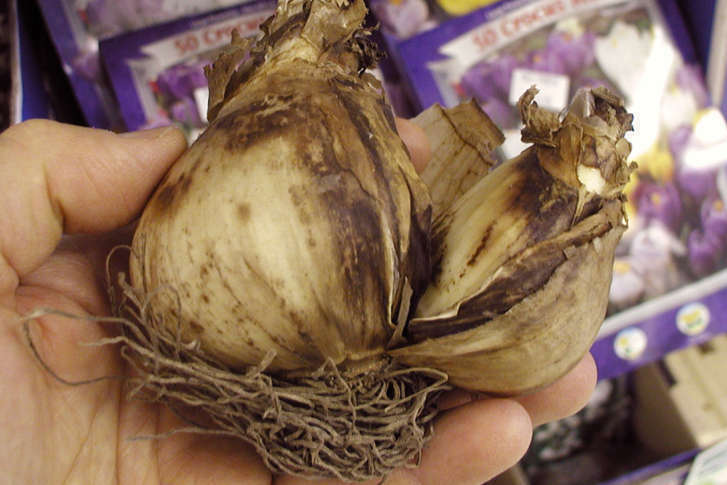 No trick: It’s (finally) spring bulb time! It is now safe to plant new spring bulbs in the ground without risk of them sprouting prematurely. If you are tormented by Dastardly Deer and Sinister Squirrels, stick with bulbs that are either bad-tasting or downright toxic, such as daffodils, hyacinth, fritillaria and ornamental alliums. Daffodils especially look good when crowded into tight but massive plantings. A cluster of a hundred daffodil bulbs planted a tight 2-inches apart is a better cure for the month of March than Prozac! Tulips and crocus are equally enjoyable, but they are also eminently edible. Mulch their beds with dog hair to deter Evil Squirrels and voracious voles from digging them up and devouring them. Anytime between now and Thanksgiving is ideal for getting new spring bulbs in the ground. Pick an area that drains well. Ideally, make it a spot where you won’t need to plant annual flowers over top later in the season. For the best effect, plant large numbers of the same bulb in tight clusters; just a couple of inches between each bulb. Plant bulbs pointy end up, flat end down. If they don’t have a pointy end, plant them sideways. Don’t feed bulbs now; they’re dormant and can’t utilize food. The time to feed bulbs is after they bloom in the spring. Disguise the scent of tasty bulbs such as tulips and crocus with a spray of deer repellent or a mulch of brushed dog hair over top of the bed.